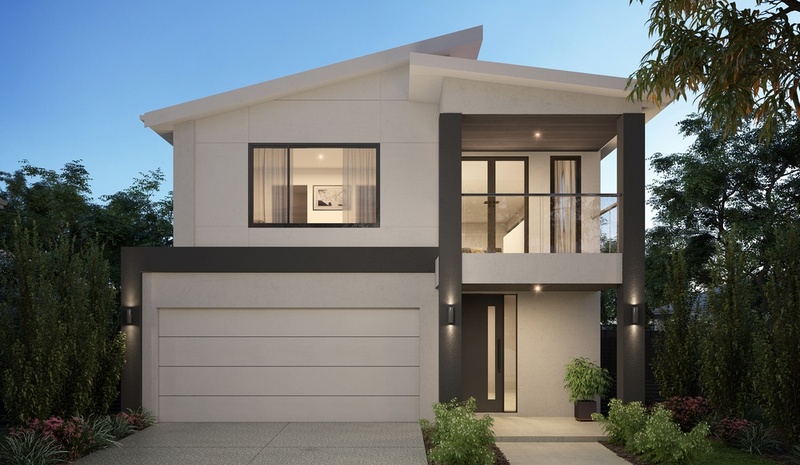 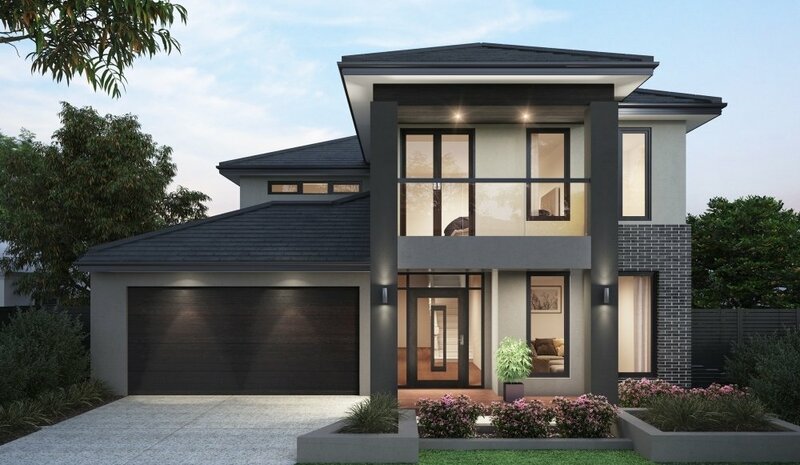 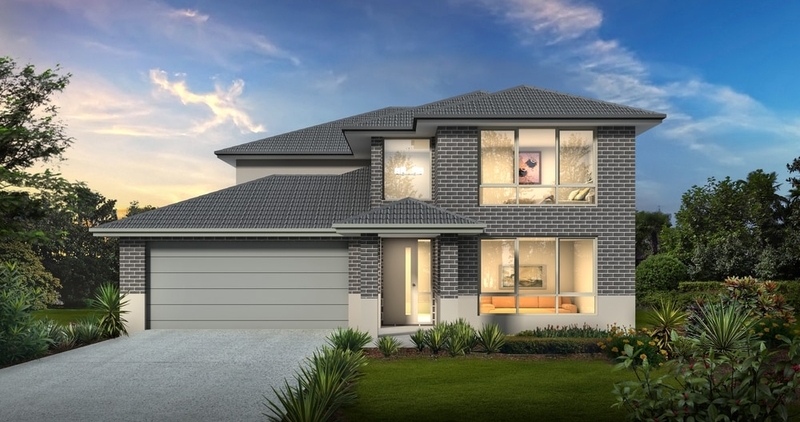 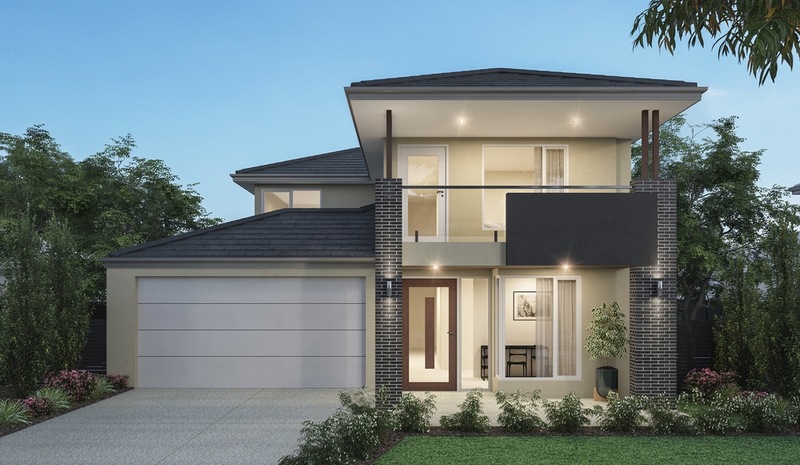 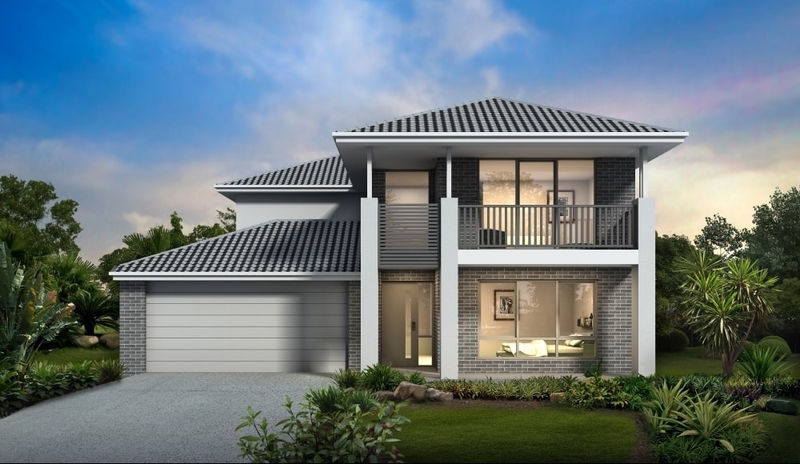 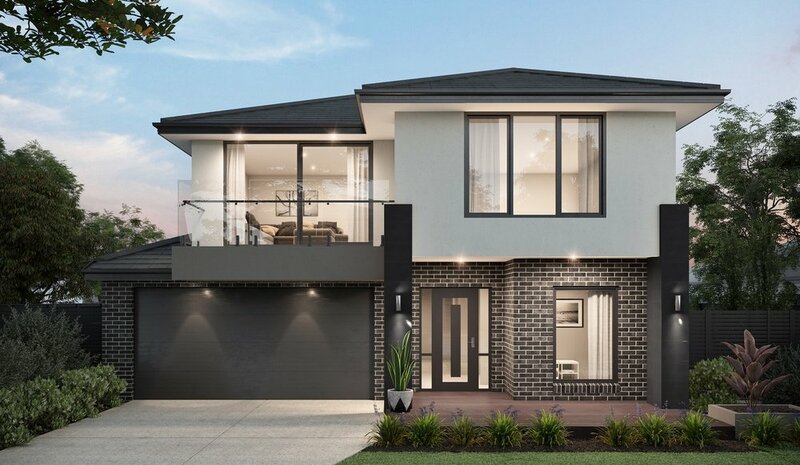 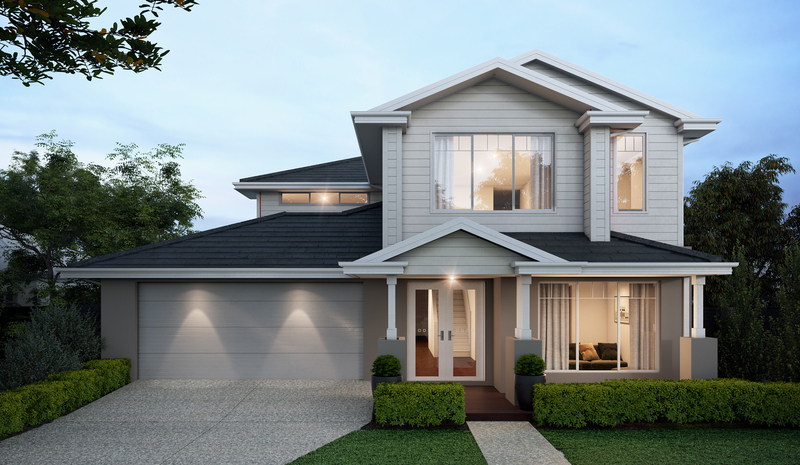 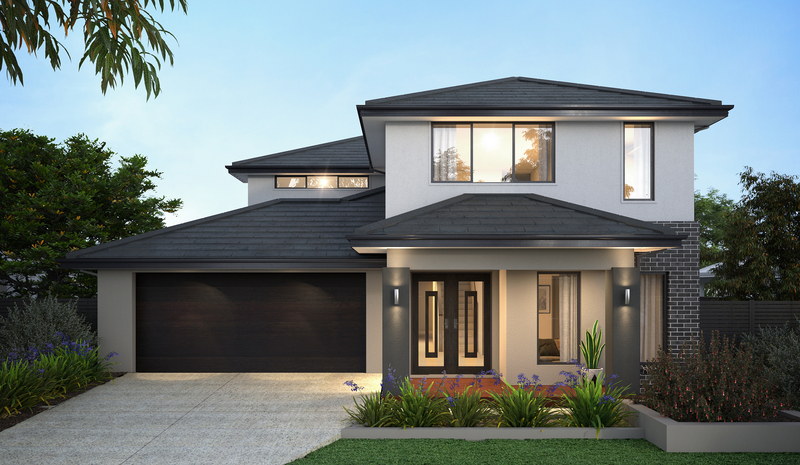 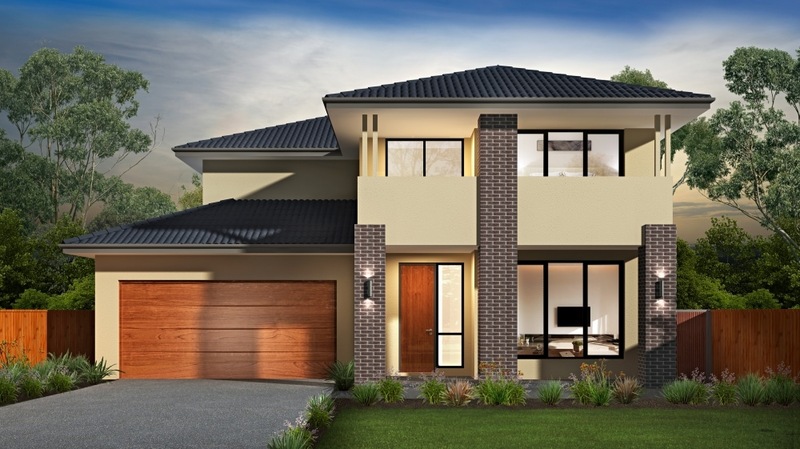 A stately two storey home with a generous array of luxury features, the Sorrento 398 has immense style. 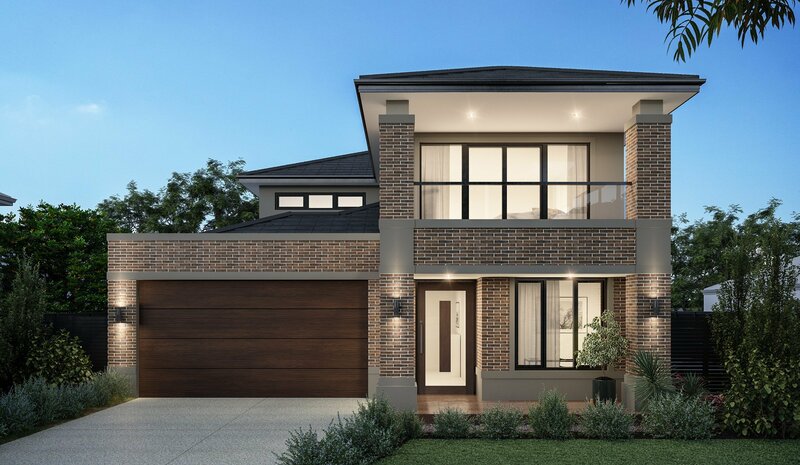 The ground floor features a large open-plan meals, family and a well-appointed kitchen with walk in pantry. 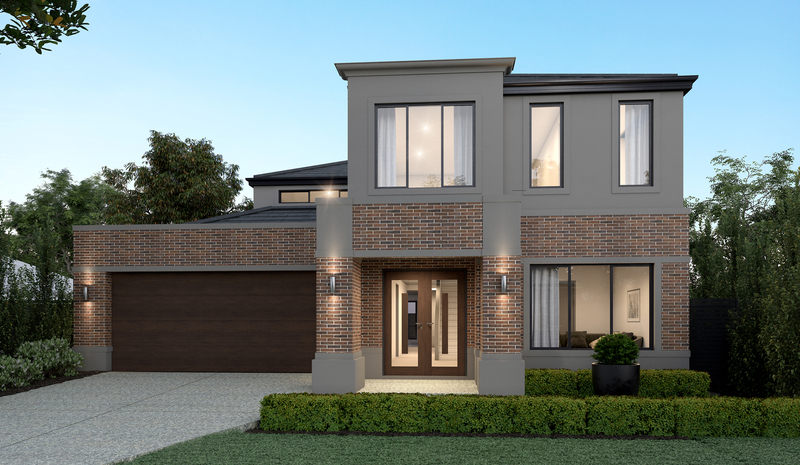 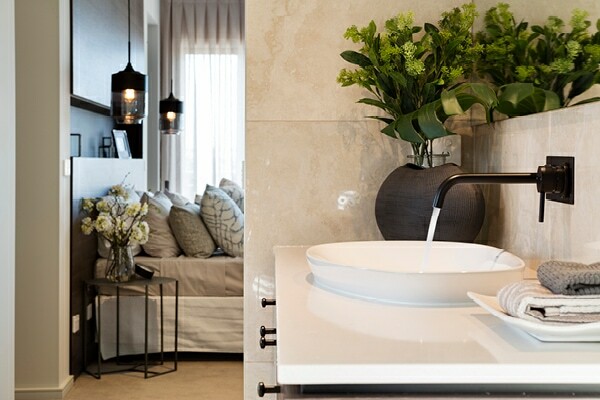 Adjoining the family room is a second living area, whilst a fifth bedroom provides a stylish sanctuary for guests with ensuite and walk-in-robe. 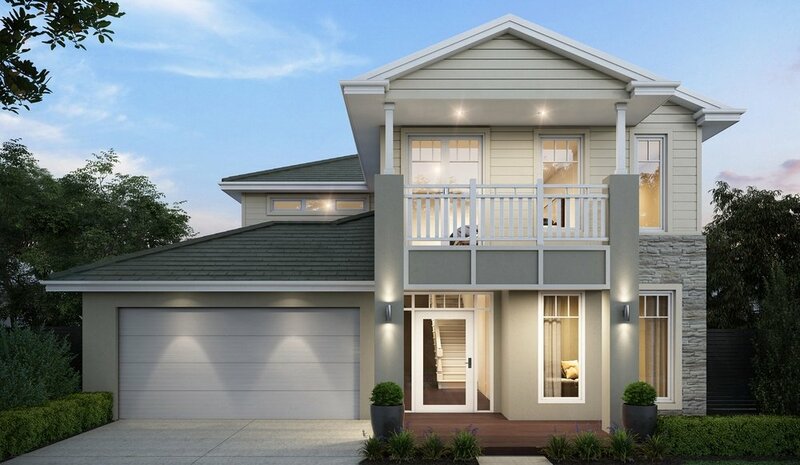 Outdoor living is well considered and adds that extra flourish for practical and stylish living. 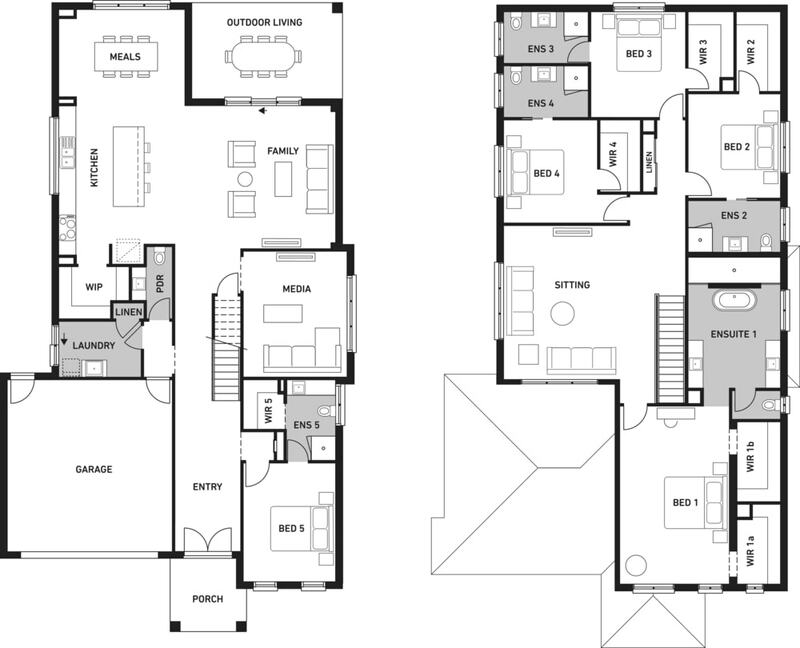 The first floor provides the perfect layout for family living, with a large sitting area flanked by four large bedrooms – all featuring walk in robes and ensuites. 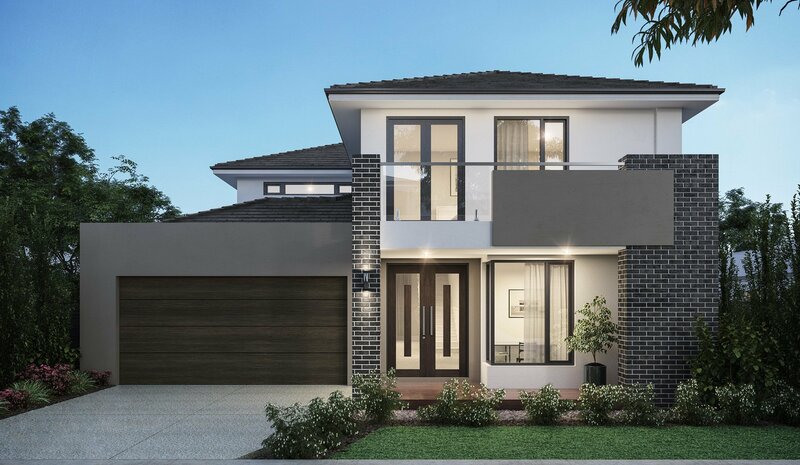 The standout here is the magnificent master suite with private balcony, two walk in robes, stunning ensuite and superb high-end touches throughout. 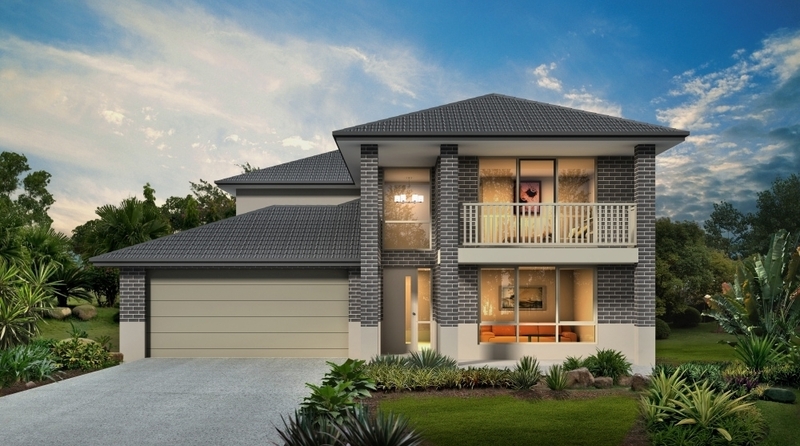 Big, bold and beautiful, the Sorrento 43 sets a benchmark for luxury and style for families.